Without a cape: Indiana State's Dawon Cummings drives to the basket against Iona's David Laury (13) and Sean Armand (22) to score the winning basket with four seconds left on the clock Saturday at Hulman Center. 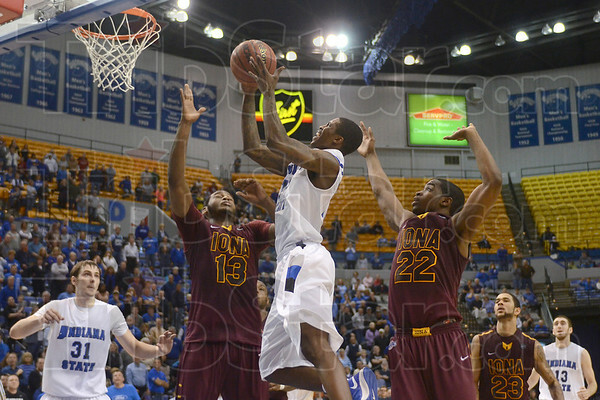 The Sycamores beat the Gaels 65-64. "Superman bailed us out,” said Cummings' teammate, Manny Arop, after the game.